Hundreds of St. Mary’s University students will volunteer across San Antonio on Saturday, March 4, for the Continuing the Heritage event – part of Catholic Charities of San Antonio‘s second annual “40 Days of Service” campaign to promote service during Lent. On March 2, Archbishop Gustavo García-Siller, Catholic Charities President and CEO J. Antonio Fernandez, and Superintendent of S.A. Catholic Schools Marti West will help kick off the 40 Days of Service effort with St. Mary’s President Thomas Mengler. The group, as well as St. Mary’s students and staff, will volunteer from 1-3 p.m. at the Guadalupe Community Center (1801 W. Cesar E. Chavez Blvd. ), a facility that provides support and advocacy services to those in need. The biannual service day brings together University students, faculty, staff and alumni to volunteer for community projects, such as graffiti abatement, yard work, packaging and delivering food and clothing for the poor, and working with children and animals. Since 2003, about 10,000 volunteers have offered more than 50,000 hours to organizations that provide much-needed services throughout the area. Online registration began Tuesday, Feb. 21. Dream Center at 2903 West Salina St. As many as 75 volunteers will walk the neighborhood cleaning yards, covering graffiti and performing minor home repairs. St. Mary’s University Community Garden Students will help prepare a neighborhood community garden on 36th Street. In the spirit of Pope Francis’ “Year of Mercy” and the Lenten season, Catholic Charities and the Catholic community of San Antonio joined together in 2016 for a new campaign called 40 Days of Service. 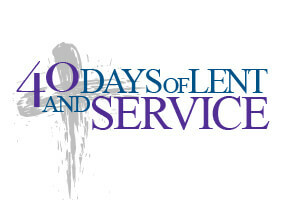 The goal is for every Catholic school and university in the archdiocese to commit to service during Lent and for participants to have a meaningful service experience by offering their time and talent to assist people in need. Service opportunities include mentoring, organizing donation drives, stocking food donations, tutoring children, distributing food, painting, landscaping and assisting veterans and seniors. For more information on service activities, contact Catholic Charities at 210-222-1294 or email Paul Stevens at pstevens@ccaosa.org.